Modern-day Jews reject Jesus (as a Prophet and Messenger), modern-day Christians accept Moses as a Prophet and Messenger, elevate Jesus beyond his noble status (taking him as a deity) and reject Muhammad. Islam accepts, appreciates and reveres all three of these noble Prophets and Messengers, accepts all of the revealed scripture (in its original form) and Muslims make no distinction between them. 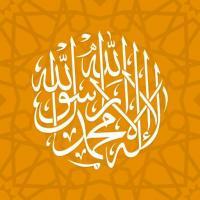 There message was the same, their religion, one religion, that of Islam - the submission to Allah (the One true God) alone.